Sony has put an estimate to the damage caused by the massive cyberattack against Sony Pictures Entertainment last year—US$15 million. In an earnings report for the quarter to Dec. 31, Sony said that the sum involved “investigation and remediation costs” related to the cyberattack that began in late November. The U.S. Federal Bureau of Investigation held North Korea responsible for the attack, which came ahead of the planned release by Sony of a comedy movie about a plot to assassinate the country’s leader Kim Jong Un. While the numbers for the Pictures segment are provisional, Sony said Wednesday the damages weighed on the operating profit for the segment, which will be ¥54 billion (US$460 million) for the year ending March 31, up from ¥51.6 billion a year earlier. “Sony believes that the impact of the cyberattack on its consolidated results for the fiscal year ending March 31, 2015 will not be material,” it said in the report and updated forecasts for the year. The company did not elaborate on the cyberattack cost, and did not immediately respond to a request for more information. Sony’s other results were a mixed bag. Demand for PlayStation 4 consoles and image sensors helped it reduce the ¥230 billion annual net loss predicted in October to ¥170 billion. But that’s still worse than the ¥128 billion loss it posted for the year to March 31, 2014, when it incurred huge costs from exiting its Vaio PC business. 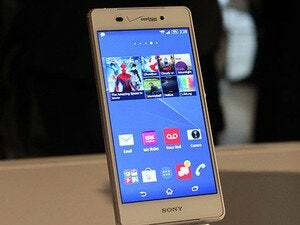 Even though sales of its Xperia smartphones rose in the last quarter, Sony said it would cut 2,100 jobs in its struggling mobile communications segment, which will post a net loss of ¥215 billion for its fiscal year to March 31. Under a restructuring drive spearheaded by CEO Kazuo Hirai, Sony has been shedding business units. Aside from PCs, it quit e-readers last year and announced the sale of Sony Online Entertainment, known for making PC games, earlier this week.